Edit: He now has the scar over his eye. Oops! This almost looks like a screenshot from the movie! Well good! It's great! The bg and character go together perfectly. I'm jealous of you. 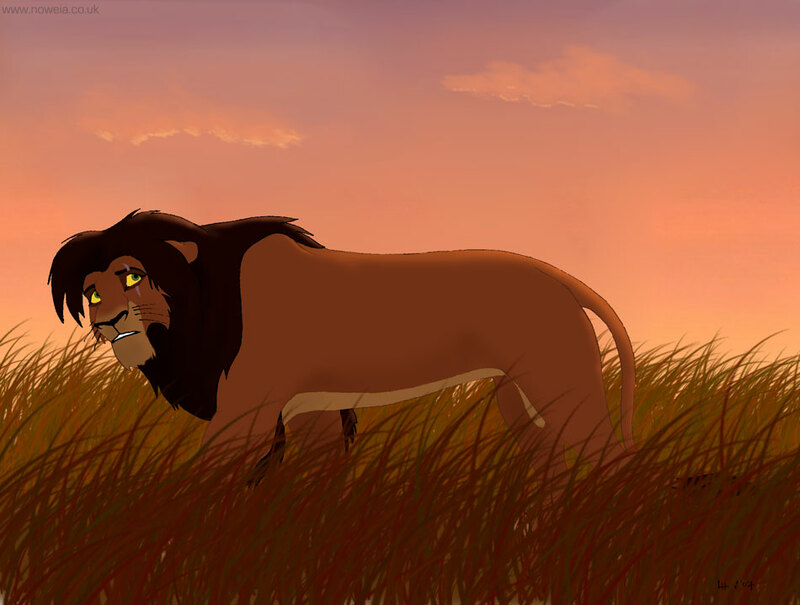 I cant draw the TLK characters worth crap... Could you like do a model of the eys for kovu and scar? Ya know, like happy, sad etc. Wow!!! I loved the lion king as a kid, and still do. great job! I luv it!! !...but didn't Kovu have a scratch on his eye that his mom gave him? I like the sky the best!! Yeah, he did. I forgot to put it in!!!!! Ur not alone.When i did my OC for my fanfic, i forgot she had black tips in her hairs and did it all brown. grr!!! Fixed it ^_^ The pictures I used for reference were from before he got his scar, and I totally forgot to add it in! So soft and orange-ish pink... It's great!